Aveda gift sets are more than just awesome products. Each gift makes a difference in the world through cruelty-free, plant based products, wrapped in handmade paper from Nepal. Aveda’s gift packaging is made from lokta bark paper, that’s harvested, pressed and dyed by hand. Combining existing Aveda products and limited-edition offerings, these gift packages make the perfect gift for the Aveda lover on your list and are already priced at 20% off the regular retail price. Come by or call us at 316-267-8000 to reserve gift packages. Give the gift of glam with a gift certificate from Planet Hair. A fabulous hair style, relaxing nail services and Aveda hair, skin, body products and makeup are always a perfect fit! Shopping online? You can buy a Planet Hair gift certificate night or day in a few minutes on our website. Just order from our website at www.planethairusa.com and we’ll mail it to you. Now through December 24, 2014 – Gift Certificate Bonus! 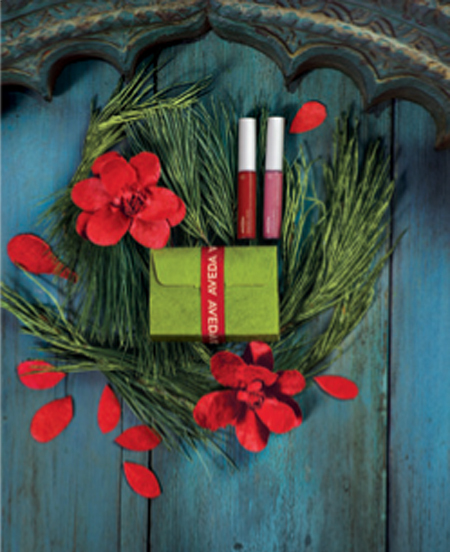 Purchase gift certificates totaling $100 or more and get your choice of an Aveda gift package with travel-size Hand and Foot Relief or Limited-Edition rehydrating mini lip glazes, a $20 value. Purchase a total of $200 in gift certificates and get the package of your choice and a $10 bonus gift certificate to use in January. 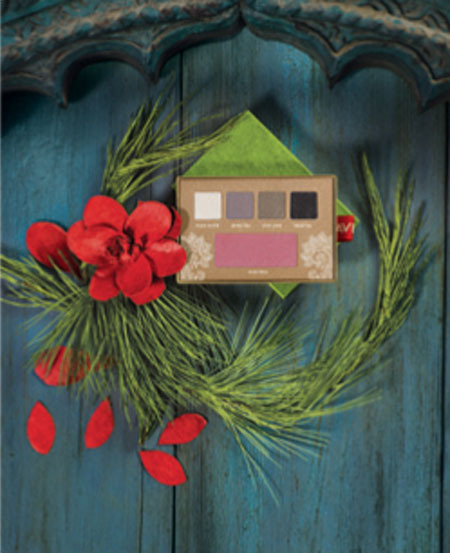 Check out Aveda’s limited edition gifts! We had so much fun we’re doing it again! when you purchase a gift card of $50 or more. 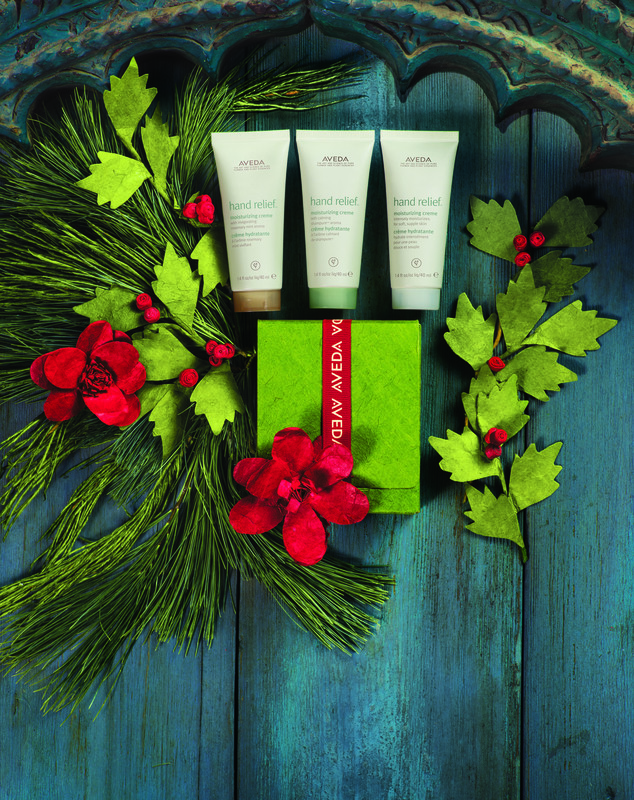 Check out our Aveda’s Limited Edition gift sets! Travel-size Hand Relief in Shampure, Rosemary Mint and Beautifying aroma and sample size Hand Relief Night Renewal Serum. Our Open House Party is today and Saturday, December 12 and 13! We have lots of special offers, free mini services, and all kinds of goodies! Read more about it here. Give the gift of glam with a Planet Hair gift certificate. Available for any service or amount, gift cards are always the perfect fit. At our party on December 12 and 13 only, you can get a bonus $10 gift certificate when you purchase a gift certificate of $50 or more. 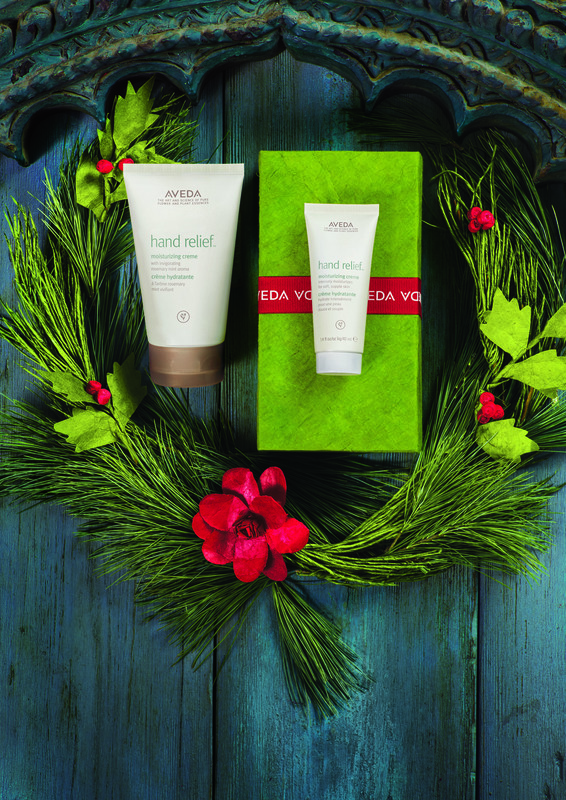 Give the gift of happiness to everyone on your gift list with Aveda gift sets. Whether they’re a gift for you or someone else, these gift sets are specially priced and beautifully packaged in paper handmade in Nepal. Clear the air with awesome environmental fragrances. Check out our new Votivo holiday candles. Our elves will be on hand to help you with your last minute shopping or call us at 316-267-8000. Merry Christmas! 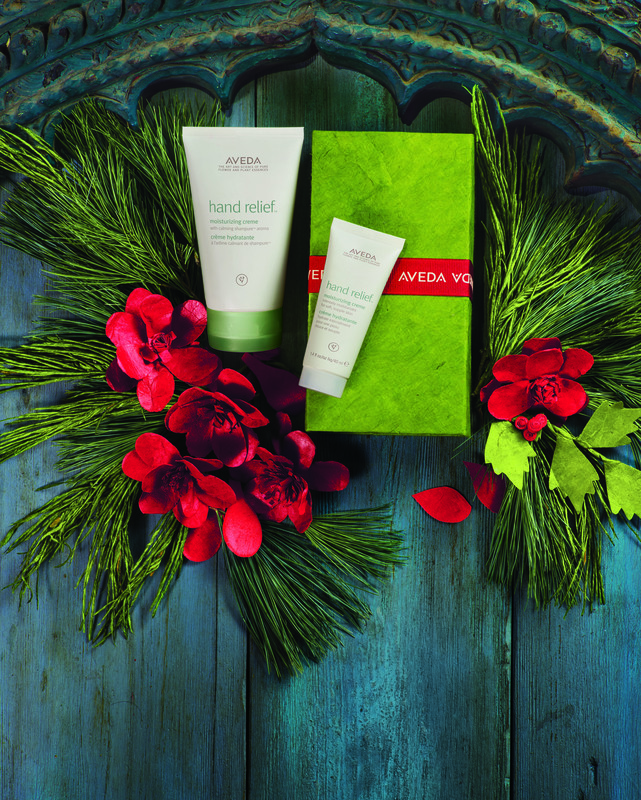 Treat the people you love to the Aveda’s limited edition Gifts of Joy packages. Exclusive aromas and one-time-only colors, available only in these packages, makes it a fun surprise for the Aveda fans on your list or yourself! The gifts are wrapped and ready to go under the tree in beautiful handcrafted paper, made in Nepal for Aveda. This Certified Wildlife Friendly paper also helps protect animal’s habitats. Now that’s a reason for joy! Learn more at aveda.com/changelives. Quantities are limited! Call us at 316-267-8000 to reserve your gift packages.